Please join us Friday, April 12 at the Grand Geneva Resort & Spa in Lake Geneva, WI for the WSO 2019 Spring Conference! L. Douglas Knight, D.M.D., A.B.O., F.A.G.D. Dr. Knight is a graduate of the Roth/Williams 2 year program for Functional Occlusion and was on the faculty at the Center for Functional Occlusion from 1997 to 2000. He is the recipient of the Roth Williams International Society of Orthodontists Pacesetter Award. Most recently, he was honored by the Hardin County School System with a Distinguished Alumni Award. Dr Knight is a graduate of the University of Kentucky College of Dentistry and the Army Dental Corps1-year General Practice Residency. In addition, he is a Diplomat of The American Board of Orthodontics and a Fellow of the Academy of General Dentistry. Dr. Knight completed his orthodontic training at New York University in 1995. 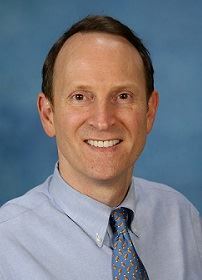 Dr. Knight has published several articles in the Academy of General Dentistry and the Journal of Clinical Orthodontics. Dr. Knight founded an interdisciplinary team training group with teams from around the country. Besides operating two offices, Dr. Knight lectures on a broad range of topics to study clubs and residency programs. He has been appointed as Director of the Roth Williams International Society of Orthodontists for the United States. Contact the Grand Geneva Resort & Spa by phone at 262-248-8811 or CLICK HERE to reserve your room today! Indicate you are booking as part of group block for the WI Society of Orthodontists.